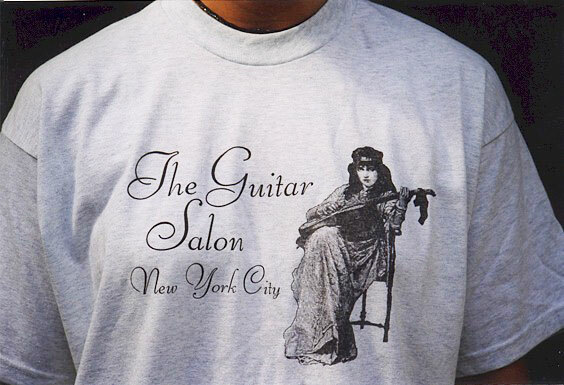 The Guitar Salon t-shirts as seen below are now available for sale. T-shirts come in grey and sizes available are L & XL. They cost $20.00 (includes shipping & handling) for the continental U.S. T-shirts are free with a guitar purchase (while supplies last). Click here for The Guitar Salon contact information and orders.